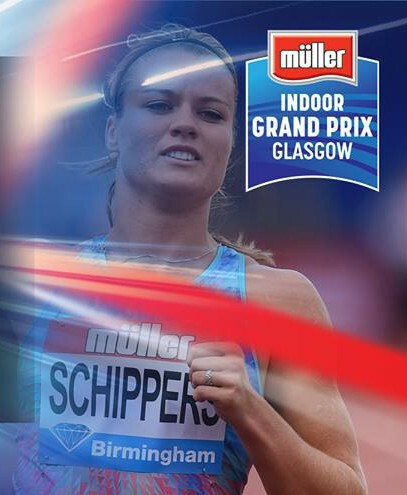 Dafne Schippers and Elaine Thompson will meet for the first time this year in tomorrow’s Muller Indoor Grand Prix in Glasgow, sixth and final stop on the International Association of Athletics Federations (IAAF) World Indoor Tour - and dress rehearsal for next week’s World Indoor Championships in Birmingham. Two-time world 200 metres champion Schippers and Olympic 100 and 200m gold medallist Thompson have both had a relatively low-key campaign so far in 2018. 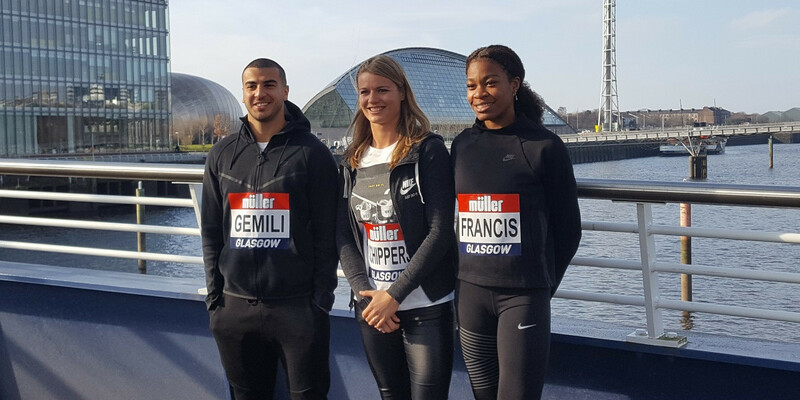 But they will test their IAAF World Indoor Championships ambitions in a line-up also including Ivory Coast's double world silver medallist Marie-Josee Ta Lou, South African record-holder Carina Horn and Britain’s European 200m champion Dina Asher-Smith. Wild cards for Birmingham were on offer to overall winners in World Indoor Tour events, of whom several remain to be confirmed at the Emirates Arena in Scotland's biggest city. Ethiopian duo Hagos Gebrhiwet and Yomif Kejelcha, for example, currently share the lead in the men’s 3,000m standings and one of them would claim a wild card even if they finished behind the likes of Olympic 5,000m silver medallist Paul Chelimo and Olympic steeplechase champion Conseslus Kipruto, who are also competing tomorrow. The women’s 60m hurdles is another event that will have three representatives from one nation at the IAAF World Indoor Championships as there is guaranteed to be a United States winner of the World Indoor Tour. The identity of that winner will rest, however, on another close contest between Sharika Nelvis and Christina Manning. In their five contests this year, the biggest gap between the two sprint hurdlers has been four hundredths of a second. While Christian Coleman has been lowering the world mark for the 60m in the USs, China’s Su Bingtian has been the man to beat on the European circuit and has already done enough to secure the World Indoor Tour victory. Tomorrow he is due to face American duo Mike Rodgers and Bryce Robinson, as well as veteran Kim Collins from Saint Kitts and Nevis and Britain’s IAAF Diamond League 100m champion CJ Ujah. Other sprinting events in Glasgow have a strong USA-versus-Great Britain theme as American world champion Phyllis Francis takes on UK indoor champion Eilidh Doyle in the women’s 400m. European indoor champion Andrew Pozzi faces US indoor champion Jarret Eaton and 2012 Olympic champion Aries Merritt in the men’s 60m hurdles. In the women’s long jump, Olympic champion Tianna Bartoletta faces one of her toughest rivals as Serbia’s Ivana Španović aims to complete a World Indoor Tour win. Russia's world champion Maria Lasitskene, competing under a neutral flag, will aim to extend her winning streak in the women’s high jump. The London 2012 gold medallist Greg Rutherford takes on a long jump field that includes Asian indoor champion Shi Yuhao and world indoor bronze medallist Huang Changzhou, both of China. Last year the 22-year-old became the fourth-fastest man in history at 400m indoors, clocking 44.85sec and went on to record an outdoor personal est of 43.70 to move to seventh on the world all-time list. Kerley will contest the 4x400m at the IAAF World Indoor Championships but will want to show what he would have been capable of in the individual event.